Faith Evans-Sills: Life Book 2016! I have some wonderful & exciting news! I am going to be teaching on Life Book 2016 next year! I'm thrilled to be a part of the vibrant community of artists that Tam of Willowing Arts has gathered together. Having friends who have participated in past years, I just know that the magic that this course generates really sifts down into every area of your studio practice. Its going to be packed full of juicy ways to connect with, celebrate and honor yourself through art journaling. organized by Tamara Laporte from Willowing Arts. I use Mandala drawing & painting within the layers of my mixed media paintings as a way of keeping myself loose, while at the same time drawing focus & reflection to different areas and quieting the mind. 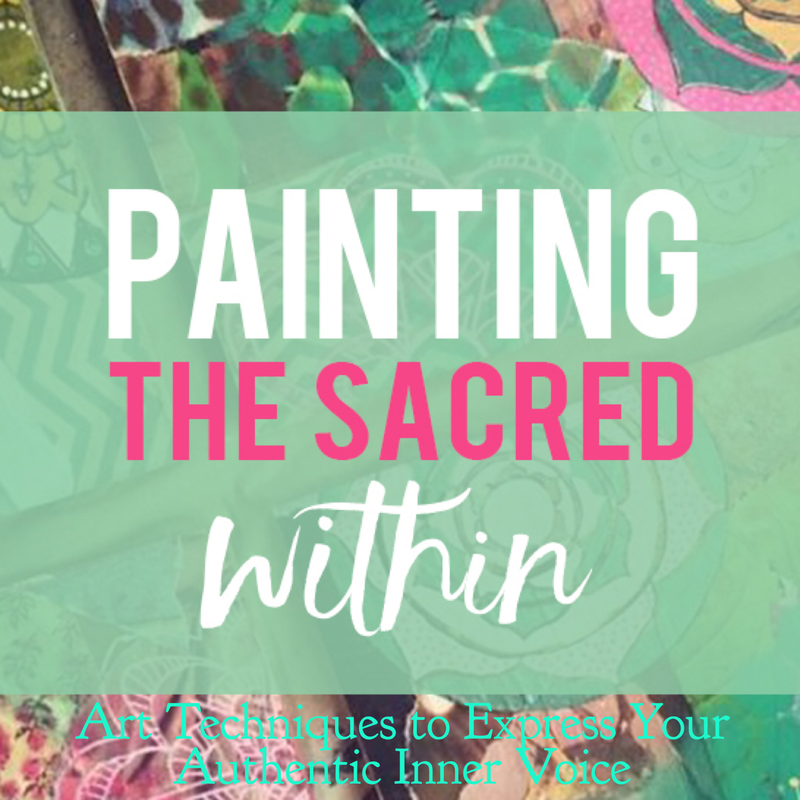 In this lesson we will journey together through the three layer process that I use to create my layered Mandala paintings, adding delicious textural layers and personal flair, celebrating all of the positive elements that make up the rich tapestry of our lives. I'm also super excited to be offering a Bonus Lesson about painting on unconventional surfaces, exploring pattern painting on gathered leaves, this will air in the autumn of 2016!! Eeeeeep, so much fun! Registration opens on October 5th 2015 and the class begins on January 1st 2016. There is so much exciting community over in the Facebook group, so much sharing of beautiful work, and really you can jump in at any time throughout the year! 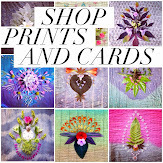 Have a great time following the blog hop! I can't wait to see you in the classroom! Life Book sounds amazing! I learned about it earlier this year and this would be my first time participating. This is just the direction I would like my art Journaling to take. I'm pretty new at it and can't wait to learn and explore. Thanks for the chance to win a spot! Being able to join so many Craetives in 2016 would be fantastic. Thank-you for the opportunity to win a spot. I am happy to comment, subscribe and share! I would love to join Lifebook 2016 because it would teach me so much and I hope bring more healing into my life. Thanks for the opportunity! Life Book 2016 sounds amazing! I heard about Life Book earlier this year and this would be my first time participating. I'm kind of new to all of this and it's just the direction I would like my art Journaling to take. I can't wait to explore, learn and create. Thanks for the opportunity to win a spot! I adore and follow your work, I would love to learn from you!!! I am dying to take Lifebook 2016. I have heard such great feedback from years past, and there is such an incredible line up. I know that the weekly prompts and education will just be exactly what I need to really drive my artistic pursuit. Mixed media and what all of these teachers do on a daily basis is what I love, but no formal education in the arts. I work a full time career, with a family at home...this would be the perfect course for me to take, to keep me on the right track which is absolutely a healthy, therapeutic trail for me to take! thank you for this chance to enter! joined your newsletter, thanks so much! I would like to be part of LB2016 because it’s an opportunity to express myself through my art. 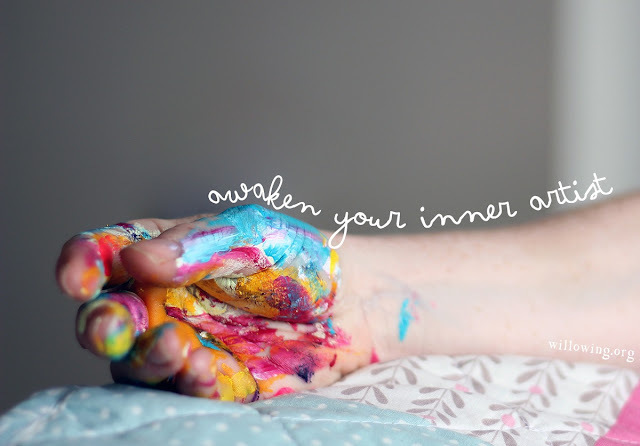 I would relish the opportunity to join in the inspiring art-making FUN that is Life Book 2016!! And to be a part of a wonderful community who all share a creative interest. I love doing mandalas so I already know (granted the opportunity) that I will LOVE your lesson! Signed up for your newsletter and shared the post on FB. It has never been possible for me to be part of Lifebook for many reasons. I love to win to learn from so many talented instructors. I would love to be part of Life Book 2016 because I have seen the great art work created by a friend in 2014 and I believe I will benefit from the lessons learned for my own personal healing journey. Thank you for the opportunity to win a spot and learn from some of the best teachers ever. And congratulations on being selected to teach for Life Book 2016. I am sharing this blog post on Facebook, also. Thank you the opportunity. It is a great course, It is full of fun. So delicious I love everything about Lifebook, especially all the amazing teachers who come aboard every year with such delicious teachings. I would love to win a spot. Thanks you Faith for giving me the opp to win a free spot. I have never seen your art before I can't wait to learn more. Seems I posted under 21 secrets. 2016 is my quest to come out of artist hiding and soar, discover, learn, create and find my voice. This is just the thing to help me do that. I've subscribed to your newsletter and shared on FB. I'd so love to win a place on this class - it's awesome! I'm going to be an empty nester soon and I'm going to need some help getting used to it - this'll be perfect! I've never been able to sign up for this course but I've seen so many wonderful projects from people who did it and I want to take it so very badly. It's been a long year of deaths, births and lots of stress so this would be so wonderful to do this next year. It would give me the artistic boost I need right now. Oh boy do i wish to be part of Life Book 2016 but I am also thankful because I am now following g you and intrigued by your courses! More to dream about and work towards! I'd like to join Lifebook to get a chance to have lessons with some of the best mixed media artists out there! I've joined the newsletter and shared on Facebook. Done! ~ I would love to be part of LB2016. So much inspiration from all the talented artist instructors to keep me doing art throughout the year . Also, would love to learn and paint mandalas. Thank you for this opportunity!! Lifebook is great, i was in 2014, but I was unable to join for 2015. I really missed it. I live in a rural area and have no artistic friends to share with. Lifebook gives me a since of community. So many of my favorite artists are teaching in Life Book 2016!! I would love to be a part of it to help me get back into art journaling and cope with the stresses of life. Thanks for the chance to win a spot!! I would be thrilled to bits to win a spot on this course for the incredible chance to learn from such wonderful teachers! Thank you for this opportunity. Shared on FB and already subscribed to your newsletter and blog!! I'm taking LB2015 classes and its been a wonderful learning experience! I certainly hope to be a part of LB2016 as well. Thanks for the opportunity to win a seat! I shared on facebook and pinterest and signed up for your email. I would love to win a spot in Life Book because I lost my Mom to cancer this year and then found out my Dad has cancer. I need inspiration to keep me painting in my time of grief. I am volunteering in Nepal after the earthquakes and there are no art classes here so an online community and inspiration would really have an impact on my creative journey. 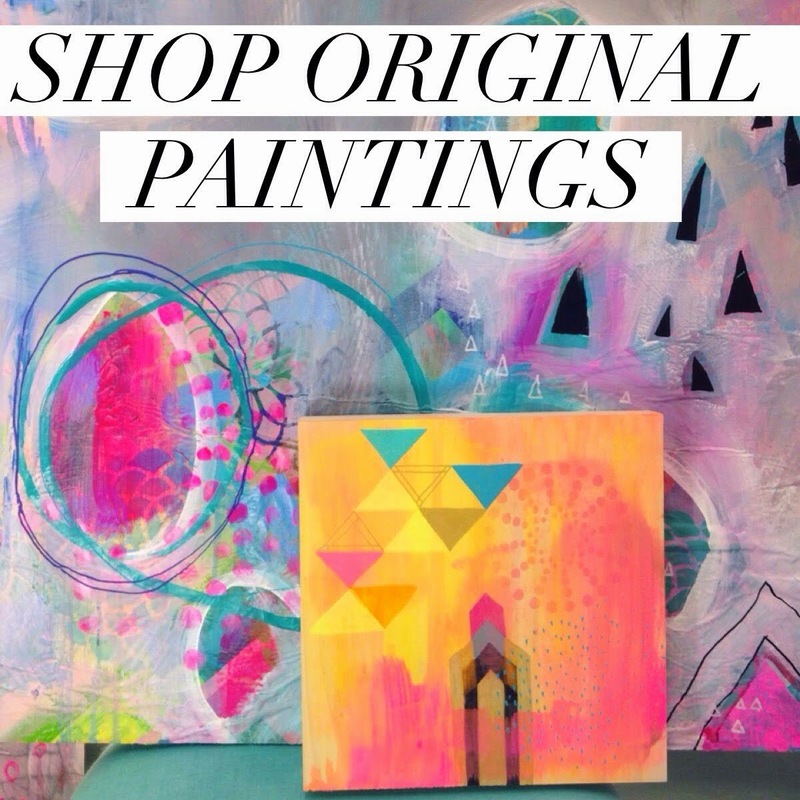 I love, love your paintings and style! Life Book sounds so wonderful! I just learned about it recently and I would be over the moon to be able to learn along, mixed media makes me so happy :) With your art, I am particularly drawn to your patterns and color, so peaceful. Thanks so much for a chance to win. I'm a mandala nut... but always have a hard time drawing and painting them and having them come out even. Would LOVE LOVE LOVE to get in on LB16, as I've been wanting to get in for years but finances just never allow it. I've also signed up and shared... :) I LOVE your work! I shared on FB and on pinterest! I would be so blessed to be a part of creative community as I have been trying to find a community of artists to encourage and share our journey. I lost my Mom this year to cancer and I am hoping to heal with a supportive community. I love, love your work but I am on a limited budget as a missionary serving in Nepal. I have thoroughly enjoyed Life Book 2015 and would love to win a spot in Life Book 2016 to continue this amazing art journey. I never thought of myself as being creative or artistic but I have created some beautiful art that I thought I could never do before joining Life Book. Signed up for your newsletter and shared on my facebook. Oh, I am so enjoy these blog crawls!! I'm getting to meet so many new teachers. I'm looking forward to Lifebook 2016 and getting to know you. I've just recently joined Lifebook 2015 and already I'm learning and growing. I am doing 2015-love it. I would love to win a spot in 2016. Meeting the teachers has been inspiring. Your lesson looks like a lot of fun! This is just another reason that I must sign up again next year! All these different artists teaching us, sharing their gifts with us! So much fun! Love love your work. Website is cool. I'm from UK and Been on Life Book two years. I have been given friends across the world. Life Book has been an immense help to my recovery from a nervous breakdown. I would live to continue next year, but a get a bursary from my local mental heath team and it seems now they are stopping it. But besides that if I can't do it I would an have been blessed to be on LB and what it has given me. I have your Newsletter and am excited about that. And have shared on FB. I need to do something just for me next year....and this seems like just the right thing to give me some focused time to just do what I want to do. Thank you for the chance to win! I signed up for your newsletter and shared on FB. Thank you for this opportunity to continue on with such a wonderful, loving, caring, sharing community. Art is so healing. Fingers crossed, hoping and wishing to participate in this great class. Thanks for the opportunity. Alrigthy, I shared on facebook and g+ and added your newsletter to my email! Woot! And I gotta say, you do some amazing, beautiful art. I really hope I get to take your class! I've so enjoyed LifeBook over the past 2 years, and am looking forward to another fabulous year! I love the community, the teachers - everything about it! I would love to win a spot in LB16 so I can learn from an amazing lineup of teachers! I'm excited to learn more about you! I would love to win a spot in LifeBook 2016...this course has been amazing and so helpful in inspiring me to grow in so many ways in my art journey! So much to learn....so much to enjoy! I have taken LB 2014 and 2015. This year, however, my husband is out of work, and there is a question of being able to afford it. I would love to win a spot. Art keeps my sanity intact while raising up my 5 teenage daughters. Thanks for considering me. I have been with LB from the beginning in 2012, and I really need it in my life. My husband is out of work and we now have no extra money. A free space would be a very special gift for me! Love mandalas! Thank you. I have taken life book 2012, 2013, 2014, and 2015. I need LIFEBOOK. My husband is out of work. We have no money for art classes. So a spot on LB would help me out tremendously. I love Mandalas! Looking forward to next year's classes. Oh, I'm SO excited for your portion of the course! I definitely need Life Book in my life next year. I'm on a quest to find my heart and soul, and recently left my job to be able to explore my creativity. It was a risk, but a heart-opening one! I think Life Book will be a huge asset in helping me on this journey! Thank you for the opportunity! I've shared on Google+ and Twitter too, and am subscribed to your newsletter! I'm currently doing LB for the first time this year. It has become a big part of my life, and has helped me grow so much, both as an artist and as a person, that I can't imagine 2016 without it. Thank you so much for this opportunity to win a seat! thank you so much for the opportunity of winning a spot in LB2016, it has been such a wonderful experience, I began in 2014 and I am doing 2015 also, Love your website and the mandalas are beautiful, I will sign for your newsletter and also will share on Facebook. Why you ask? I say, Why not.....what an opportunity to learn from so many artists. The line up is amazing. Right now I'm in a rut and need something to get me going and I would like to be guided in a different direction. I think Life Book would give me that boost of creative energy. Thank you for an opportunity to win! I really want to win a spot on Lifebook2016! I am needing the class to help me find my creative voice again. The artists that are going to be teaching this course are amazing, and I know I can learn so much from all of you! Thank you for this chance to win a spot in the course! I would love to win a place to continue learning and enjoying this experience. My fave thing about lifebook is discovering new artists, and trying new techniques/ideas. This has been my first year of Life Book and it has been life changing for me. My art has grown in leaps and bounds and I am so much more confident in my work. I can't wait to do it again and would love to win a spot. Looking forward to your lessons! Self and value. I hope to be able to continue this journey through next year. Lifebook brings so many creative people together. I would love to join them. This is my first year of Life Book and I feel that my art has grown by leaps and bounds! I am so much more confident in my work and look forward to continuing the journey next year. It would be awesome to win a spot! Looking forward to your classes. Would love to win a spot & spend a whole year in an arty bliss!! Thankyou!!! I did life book 2014 and totally enjoyed the experience. I'd love to do it again! Sharing on my FB and signing up for all your news! Already a few years I’ve been looking at Life Book and hesitated whether I would join or not. Sofar I always decided I was too busy to join a yearlong class. But now I would like to jump in and emerge myself in a year of amazing art and teachers. Please don't let me be left out of LifeBook 2016 because of the price. I took the LifeBook course the first year that Tam offered it. It was wonderful. I haven't been able to take it since then because I am unemployed. I am also a senior lady with a disability so money is tight for things that empower and enrich me through an art course. Thank goodness people like you offer help for those who need it. Your lessons are so deeply motivating ; I can't wait to do them in LB 2016. Art is what keeps me sane. Shared, signed up and now telling you that winning in a draw or getting scolarship are the only ways that Life Book is available to me, yet I'd benefit immensely attending. I love lifebook!!! 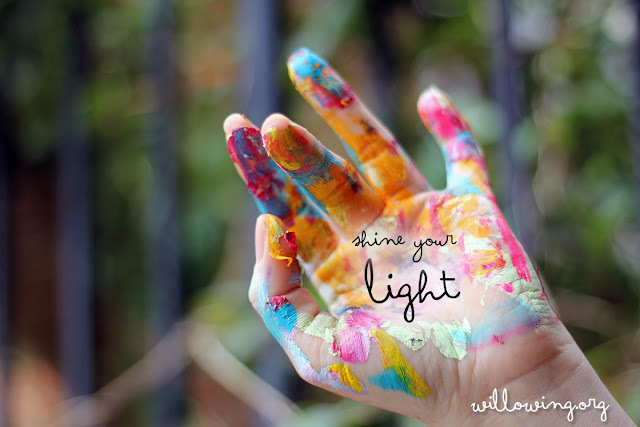 It is so good for the soul to create on a regular basis from so many amazing teachers! Thanks for the opportunity! I've shared on fb and signed up to your newsletter. Hello! I am so sorry to hear of your dad's passing even tho we haven't met. I have been through that and it is rough. What you painted is during that period is beautiful! I HAD a rug very similar to yours in your studio but my puppy chewed a big hole in it. :-( I could never paint over that beauty! This year was the first time I even knew that there were online classes. I am recently disabled unexpectedly because of my back which I means I make 1/4 of my previous salary. I also have ADHD and having a new lesson each week is great to get me out of bed and try something new. I have learned more than I imagined I ever could at my age. A scholarship would sure help as sometimes I have to "make do" as I cannot purchase all the art supplies but I do use any sales I can find. I hope each day gets easier for you as time passes and soon you just cry tears of joy of happy memories of your dad and remember you were so lucky you had him for the time you did. I will admit, I will stay on your blog for this night, it's just simple waw for the eyes and I need to read it more. Thanks. And I will share this whenever I could. Great. I would love to win because I can't think of anything better than spending my time being creative with such a fabulous group of people. Thank you for the wonderful opportunity! I've been feeling lost for the past year or so, and I've really been trying to reconnect with myself and my art. I think Life Book, which I've done in the past, will help me do just that. By experiencing and learning from all the amazing artists represented, I hope to find my spirit once more. I would love to be Part of Lifebook 2016. It's so cool that each of the artists introduces us to their work via this blog and contest. Thanks and look forward to seeing more of your work. I would really love to win this! As I am a the proud owner of four horses, my money is always spend on them. I don't mind, I love them, but... This would be the way for me to be able to join this great group. I love lifebook...my house now has handmade art because of it! Love seeing your art, it's really unique and enthralling too! Would love to get a free class with Life BOOK and take your classes. This coming year I have much to spend my extra money on with the little Ugandan children and hopefully travel there to Africa to introduce an art program. So wont be able to afford it on my own next year which is why I would love to win it. Thanks for the chance, and thanks to Tam for always coming through with awesome teachers and artwork to emulate, and grow from! Sanna. Now I am even more excited about winning a slot in LB 2016 after seeing Faith's creative style. Woohooooo! I would like to chosen, there is so much I could learn , not to mention spending time with such a talented group of artist would just make my life book so over the top with life lessons! Can't wait to see what you bring to the lifebook community next year. Welcome to the group. Life Book has been a wonderful experience for me. I want all my friends to play with me! I have never done anything like Life Book and would love to try it out. Very nice to become acquainted with you and the giveaway is awesome. Lifebook is delicious. It would be amazing to win a spot on Life Book 2016-it is wonderful-it has changed my life-love learning from all the teachers and the teachers for 2016 look amazing! I would love to win because I have so enjoyed Lifebook 2015. It has been so therapeutic for me while I've been in the fight of my life with cancer. Thank you for giving a spot away, looking forward to your class! Thanks for this opportunity. Can't wait for you class. I have wanted to join Life Book from the beginning but haven't been able to for various reasons. Hopefully, 2016 will be the year! I would really enjoy the chance to learn from so many talented instructors, as well as being part of such an encouraging group of fellow students. Thanks for the opportunity to win a spot! I shared on facebook and joined your newsletter. Thanks so much for the chance to win! I would love to join lifebook this year to stretch my creative mind! I'd love to see how you do you mandalas too, I love drawing mandalas, it's like art zen! I am so excited with your art work & would love to be part of this wonderful opportunity. It would be a great boost & jumpstart me into painting again. Fatih, I've been looking through your blog and I'm so amazed at all the art you produce. I especially love your flora and fauna. That is why I want to win a spot in Life Book 2016. I want to be taught by you and all the new teachers I haven't met yet. Thanks for the chance! I signed up for your newsletter. Thank you so much for the lovely print! I would love to win a spot on Lifebook 2016. I have only been practicing art for two years now and would really like to learn more techniques and styles. I would so much LOVE LOVE LOVE to participate in Lifebook 2016! I'm new to art making and I believe that LB can teach me so many things, it can introduce me into different ways of creation, and it will encourage me to find my own way into art! Thank you so much for the chance! I'd live to be part of lifebook for next year. I would love to join Lifebook 2016 because of all the wonderful teachers and the positive messages of self care and self acceptance. Lifebook is the most awesome course ever!! First of all, this is my first time hearing your name or coming across your page. And thank goodness that I did! I am in looooove!! <3 Your work is so beautiful and it pulls at me. Your workshops in Costa Rica and Bali look like a dream come true and I hope and hope so badly you keep doing those retreats so that one day when I can afford it I can come too!! I am just giddy with excitement, you have become a new favorite artist of mine! As for why I want to win a spot for 2016, life hasn't been easy this year. Many different events have happened and it's pulled and stretched me thin. The only thing that keeps me sane is reminding myself that there is beauty in the world and looking at the amazing and creative pieces that come out of Lifebook and my favorite artists. I love that the community consists of kindred souls from all over the world that want to support each other and share their beautiful creations. I love being able to be creative with everyone and seeing how all the different personalities shine. Thank you tons for this opportunity to be a part of it next year! As soon as I finish posting here I'm signing up for your newsletter, I'm glad to have found you. Lifebook sounds like an amazing program so I'd definitely like to wins spot. But I love and am intrigued by you course content with mandalas! Sounds very cool. I would love Life Book because I did last one and it was so gorgeous! I love everything, techears, lessons, advices... and the love wich teachers show their lessons. I'd awesome learn this way again. Firstly i love your work and blog/instagram and would love to take part in your lifebook lesson. I home Ed my two boys and would love to do Lifebook with them again, as this year have missed out on alot due toy me finishing my degree under huge stress etc. I would love to experience the crearive journey with my boys so we can have creative fun all together. I would LOVE to win a spot on LifeBook 2016. I simply cannot get enough of everyone's beautiful, yummy art! Hello there! I just signed up for your wonderful Newsletter and will be sharing this on Facebook. I have been a part of Lifebook for the past two years. I can't even imagine a day without it. I need this - it's my lifeline to the world and to my soul. This year has been the most amazing experience with lifebook and I would love the opportunity to continue on this path of creativity! I LOVE LifeBook and I desperately want to be part of that creative community. It gives me a good feeling to connect with creative people who love the same things. I would love to win a place at LB 2016. I'm in my 60's and love learning new things. LB would keep me engaged in my art. Registered for your newsletter and looking forward to learning more about you and your offerings. 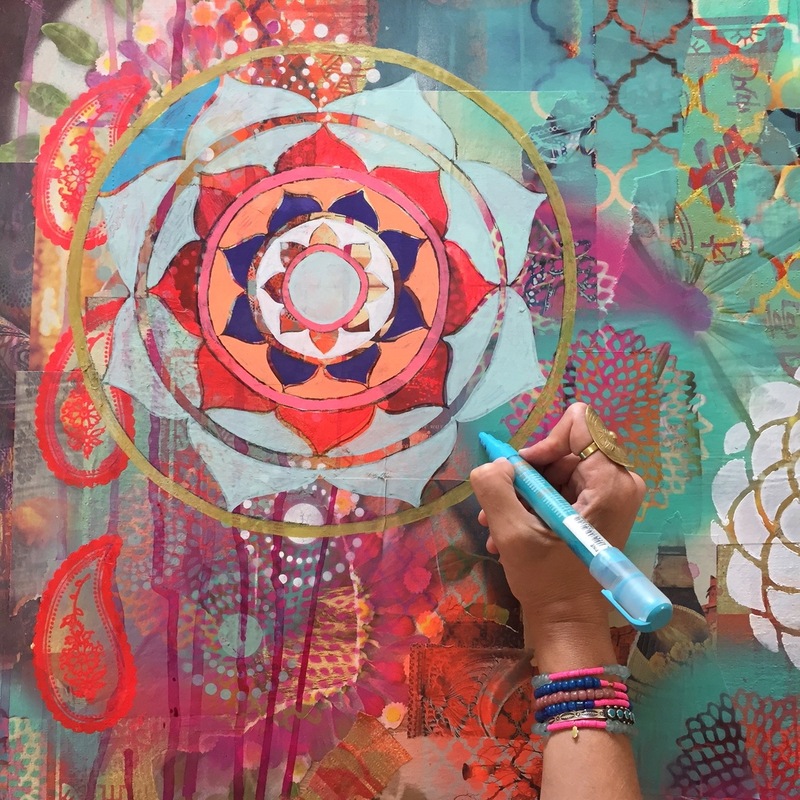 LOVE mandala art, I have done a lot of it over the years but I'll be excited to learn ways to incorporate into mixed media art. Winning a spot in LifeBook 2016 would help me on my newly founded journey to rediscovering me. Art saves lives. beautiful and I look forward to seeing more. the time being and would love to win a place. Best wishes to all. Hi, love your blog and artwork. I love finding and meeting new artists on Life Book. Which is exactly why I would love to win a spot on Life Book 2016. I haven't taken a lifebook class yet and 2016's lineup of teachers sounds amazing. Can't wait. I'm taking the 52 paintings class and it's great! Learning so much. I have wanted to take Tam's class for several Years and never been able to. Art has become My therapy,it's fun and helps take My mind off of stressful events in life.Art is restful but yet interesting.I have a tendency towards depression and stress and have found art to be one answer.Now later in life I also have a touch of dementia and have heard that art is good for that too.Being tight with money and not being able to shop online.....these are the reasons I would love to win a spot in the class. I can't wait to join all these amazing people in Lifebook 2016 and it would be wonderful to win a place! I'm slightly confused I thought I already sent You a note but don't see it.Hope I pressed publish. I signed up for Your newsletter and I linked this post to My sidebar on My blog. Yes, I would love to win a seat in this class.It will be an outlet to much stress and depression I've been under.I have just found out that I have dementia and I know this will be good for Me but We are retired and have a lower income,Oh how I would love to participate. LifeBook 2015 was my first LB year and I have loved it so far ... it's gotten me out of my comfort zone and I feel like I am learning to express what's going on with me ... sometimes in really abstract stuff. I'd like to keep that going with LB 2016.... and really cement this as the best habit ever! 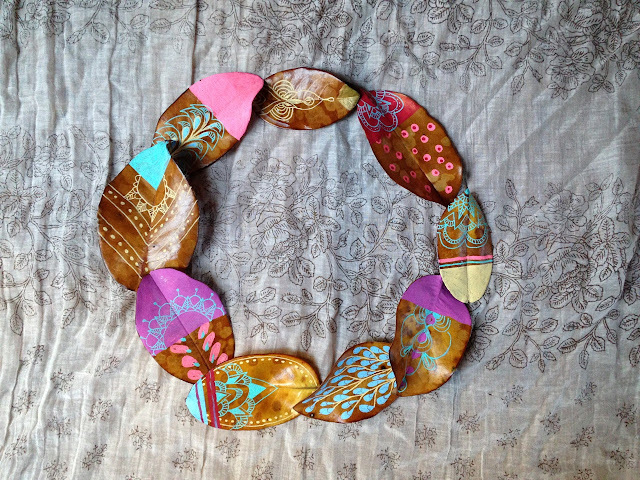 Now off to sign up for your newsletter and share on FB -- your mandala looks AMAZING! I would love to win a seat for Life Book! Several of my friends have taken it before, and just can't stop raving about it! Would love a chance to explore myself in art. What an amazing opportunity! Mixed-media artists are so generous with their time and talent; I am so proud to be a member of this community. I've signed up for your newsletter and looked at your 52 weeks course - something to definitely think about as well as Life Book! I've never done Life Book, but a friend is going through the 2015 course and can't recommend it highly enough. I would love to join her next year! Lifebook is a joyful experience. The week begins with some soul searching and love. Would so look forward to this experience in 2016. Sharing on FB and twitter. So lovely to have signed up for the newsletter and look forward to some happy news. Congratulations. This is wonderful news. I would love the opportunity to win a space and learn from these incredible teachers. Thank you so much. Making art is my passion and joy! I believe Life Book could teach me so much! And to be able to connect to others who share that passion would be the Best! Thank you. I have been enjoying Life Book for many years now. Each year the teachers are more exiting that the year before. I thank Tam for these offerings and am excited for the wonders of 2016. Your art is awesome! shared on twitter, and joined your newsletter....my fave part of lifebook(well, one at least) is discovering new artists. Thank you for the chance to win! I joined Life Book 2015 for the first time this year. It has brought art back into my life after many years. The lineup of artists is AMAZING! Some of my favorites, plus some new ones (to me). I LOVE Life book and would be so excited to win. Shared to FB Pinterest and Twitter and signed up for emails. Thank you! And congratulations on your participation. Maybe after experiencing one of the greatest events of my lifetime, I will finally be able to say with conviction, "I am an artist". Thank you. Hi! I’m a Lifebook virgin ;-), although I bought Tam’s 2012 version and I’m just finishing my last lessons of that package and I’m having so much more fun of it than I thought before! I am newly retired, and want to follow my dream. A spot in LifeBook 2016 would be a wonderful start! So exciting to see the lineup of artists, including many who are new to me, yourself included. I would love to be part of LifeBook again next year! In my retirement after a long career in education, I am beginning to explore the artistic side of life and am loving it. I feel like Grandma Moses and am asking myself, "Why did I wait so long to express myself in this way." I've leared so much in the last few years and want to keep growing in his area. Thanks for giving me the opportunity to win a seat in the course with all these wonderful art teachers. I would be thrilled to win! I love learning new techniques from amazing women! How lovey that you are joining LB in 2016! I would like to join, too, since it is a great source for nuturing, inspiration and learning! I shared on FB. This would be a wonderful birthday present for me. Thanks for the chance to win. I experienced LB 2014, my first attempt at painting and LOVED IT. Would love to have an opportunity to explore it again. Thank you. I was blessed enough to be able to participate in Lifebook 2012 and I enjoyed it immensely. as a Novice artist I learned so much. However, I’ve been unable to sign up since due to finances, art block, or life just not cooperating. I’ve recently started to art journal again and I’d love to win a spot and continue my journey! The Life Book artists and community when you're doing LB must be amazing, but I've realized too, how much there is to learn just from the blog hop. So many people with similar excitement and aspirations, and the many new artists and styles to discover. PS Shared and signed up to your news letter too. Your mandala artwork is divine! I would love to learn how to do this art technique. I have shared on Facebook, and also have subscribed to your newletter. thank you for this chance at a spot on Life Book 2016. I would love to take the Life Book 2016 course and learn all about mandalas and painting on unusual surfaces. Since I am a volunteer art mentor for abused children, I can totally see my kids painting on leaves, rocks, etc. I love to share new techniques with them. I'm on a fixed income so, of course, a scholarship would help a lot! I would love to win a spot on Life Book 2016, it would mean my 3rd year of Life Book! I signed up for your news letter and am so excited for your lesson in Life Book 2016. I'd love to win a spot - your mandala class looks amazing! I love mandalas and would love to learn to incorporate them more into my art. I would love to be a part of life book 2016 because of the diversity of teachers. I signed up for your newsletter and pinned the blog post to my Pinterest board. Shared + Signed up! I would love to win a place I have been doing it from the very beginning, and I adore the generosity of all the artists involved. I would love to win a place for next years Life Book. There is so much to learn from all the great teachers and it would bring a little bit of arty happiness to my inbox every week. I have signed up for your newsletter and pinned your blog post to Pinterest. I would love to win a spot in Life Book 2016. It's an incredible opportunity to learn from such unique and talented teachers as I search for who I am as an artist. I would love to win a spot on lifebook 2016, because i'm eager to learn new techniques, and get new inspiration from all you talentes teachers. Hi Faith. I signed up for 21 Secrets and really enjoyed your lesson. I am wondering did your bonus lesson not make it into the .pdf file? I can't see it anywhere. Can you tell me what page number? Thanks so much for sharing your talent. Nice article, like it alot. It is very helpful for Self Development in children. Thanks alot for posting it.